How can you not fall in love over television? Looking back at some of our favorite TV shows, there have been so many couples who have found real love while acting on the small screen. Unfortunately, most of these relationships have long since fizzled. However, there are still some TV couples, turned real life love birds who have withstood the test of time. Here are 12 TV couples who are still together IRL. Jackie and Kelso together IRL?!! It's actually almost too perfect. 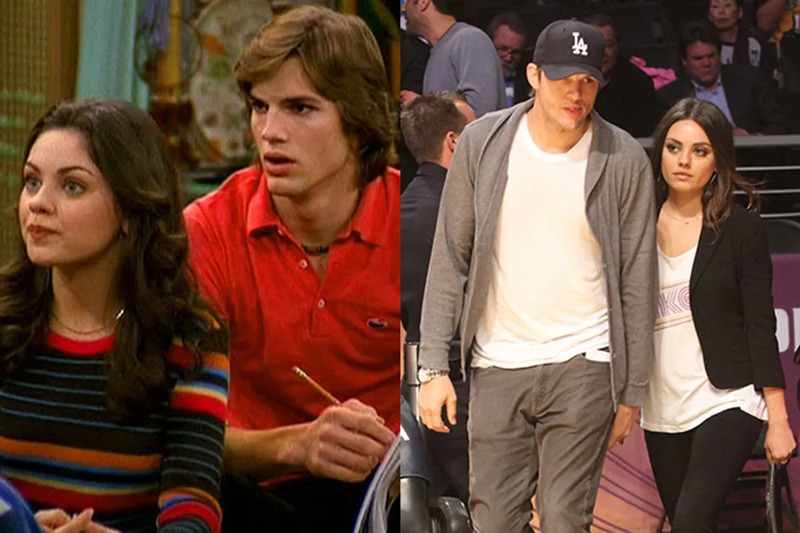 Though Mila Kunis and Ashton Kutcher worked together for almost ten years on That '70s Show the pair were only ever just friends. Kunis had a long-term relationship with Macaulay Culkin, while Kutcher was married to actress Demi Moore for 8 years. However, fate has clearly intervened. Kunis and Kutcher's relationship got romantic back in 2012, and the couple tied the knot in July of 2015. They now have a baby girl named Wyatt Isabelle Kutcher. Gilmore Girls fans are probably still shipping Rory and Jess, especially since Alexis Bledel and Milo Ventimiglia actually dated from 2002 to 2006. However, it took a flashback to the 1960's for Bledel to find the love of her life. 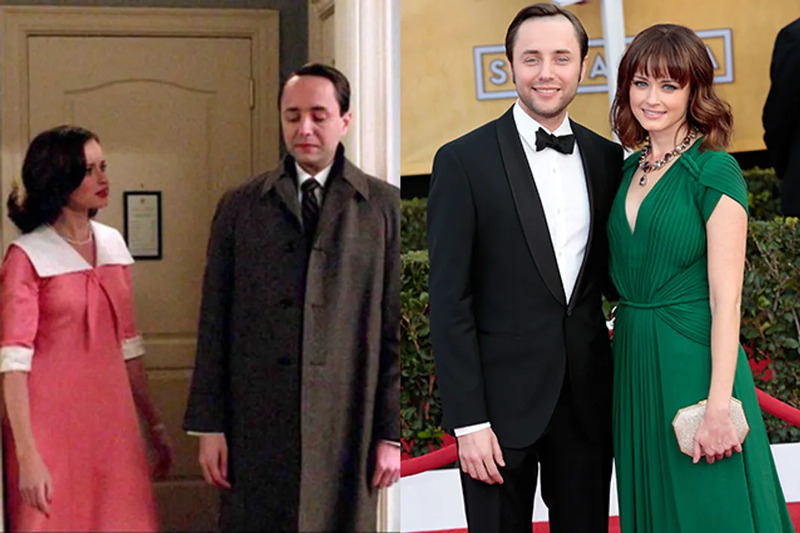 The Gilmore Girls star's real life hubby is Mad Men alum Vincent Kartheiser. Bledel guest starred on the the period drama where her character and Kartheiser's character Pete, had an extramarital affair. IRL the duo have been married since 2014. True love never dies. While things went south for Sookie and Bill on the HBO epic vampire series, True Blood, real life couple Stephen Moyer and Anna Paquin have been married since 2010. The duo began dating while filming the show's pilot back in 2007. The couple have fraternal twins, a son Charlie, and a daughter, Poppy. When Ygritte told Jon Snow, "I love your mouth, and the way you kiss me", Game of Thrones fans across the globe swooned. 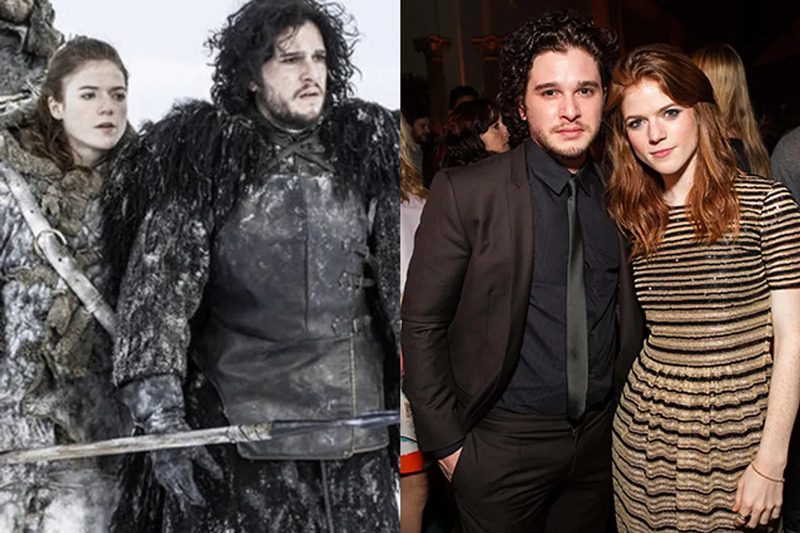 Apparently, Rose Leslie and Kit Harington were feeling the love too. The duo have been dating on and off since 2012. Jon Snow might have been left for dead, but Harrington and Leslie are clearly still on fire. Luckily, Benjamin McKenzie's love life has gone a lot better than his character's on The O.C. 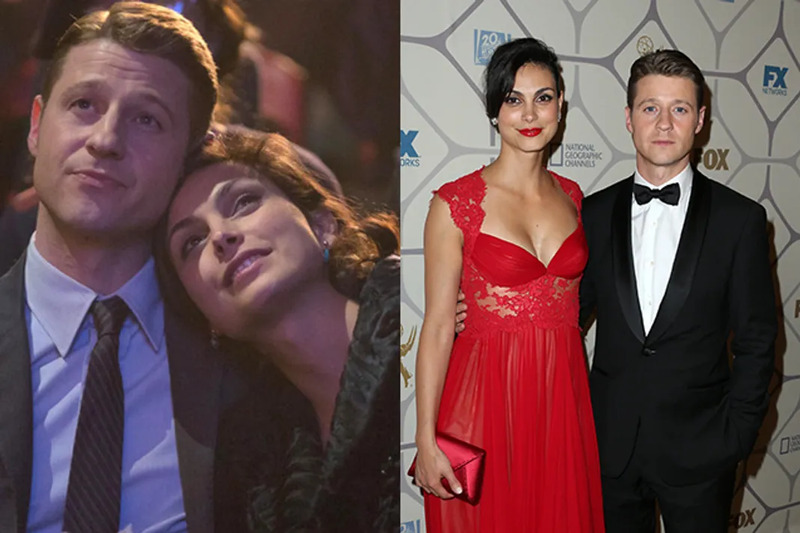 These days, McKenzie is dating his Gotham co-star Morena Baccarin, and the couple is expecting a precious baby later this year. Their CBS show Stalker might not have lasted past one season. However Nikita alum Maggie Q and the debonair Dylan McDermott's relationship has lasted long past the cancellation. The stunning couple who met on set, have been engaged since January 2015. Long before she was saving the wold as Supergirl, Melissa Benoist was belting it out on Glee where she met her real life hubby Blake Jenner. The couple kept their relationship under wraps until they got engaged back in 2013. They got married in March of 2015. Apparently, the couple loves working together because Jenner has snagged a recurring role on the CBS superhero drama. After ending her 17-year long marriage to The X-Files actor David Duchovny, Téa Leoni has moved on to a relationship with actor Tim Daly. Leoni met Daly when the duo began starring in their hit CBS drama Madam Secretary in 2014. Their relationship has been going strong ever since. Their relationship on ABC's now-canceled Revenge was full of lies and secrets, however Emily VanCamp and Joshua Bowman's romance IRL is still going strong. The notoriously private couple has been dating since 2011. This isn't the first time VanCamp has dated a television co-star. She and Jurassic World star Chris Pratt dated briefly while starring on The WB's Everwood in the early 2000's. Sometimes you really do get a happily ever after. Not only do Ginnifer Goodwin and Joshua Dallas play a fairy-tale couple, Snow White and Prince Charming on ABC's Once Upon a Time, but the couple are super in love IRL. The duo met and began dating on set back in 2011, and were married in 2014. They have one son, and are currently expecting a second child. How magical is that? 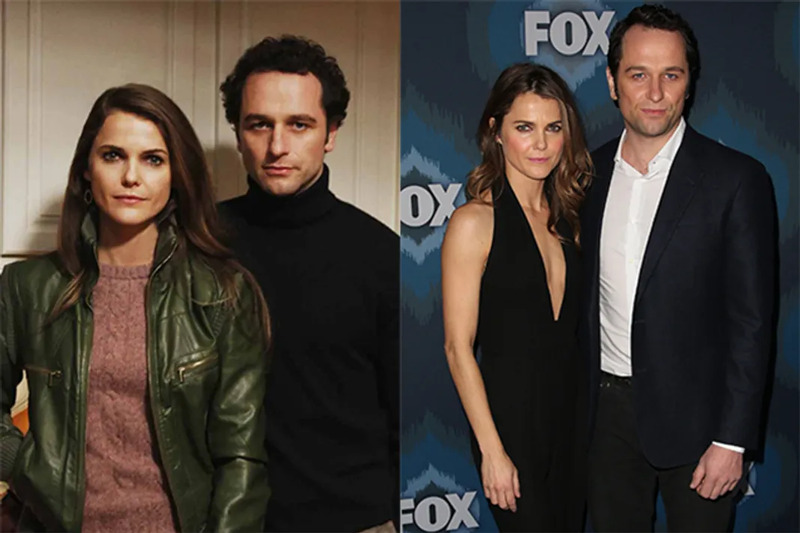 While Keri Russell and Matthew Rhys' characters relationship on FX's Regan Era drama The Americans is full of conflict and intrigue, IRL, the couple couldn't be more sweet. The duo have been dating since 2013, and are expecting a baby later this year. This isn't the first time Russell has had a relationship with a co-star. Back in the late '90s Russell dated her Felicity co-star Scott Speedman while the show was still on the air. Actress turned Real Housewives of Beverly Hills star Lisa Rinna has been married to actor Harry Hamlin since 1997. The couple have shared the screen on more than one occasion, but perhaps their most memorable roles were on UPN's teen detective drama Veronica Mars. On the series, Rinna and Hamlin played The Echolls, parents to bad-boy Logan Echolls. Luckily, their real-life relationship is way more successful than the Escholls' marriage.